Our day 2 is off to an early start, because we had to leave at 2am so we can catch the barge/boat ride at 4am headed to Camiguin! Just last week, Manila was shaken by an earthquake. I was lying in bed watching Grimm that night, when I felt my bed shaken for a good two seconds! What was thaaat??? Later on, I found out that it was just an earthquake. People of Camiguin get that a lot -- because of its small area, it becomes highly at risk to volcanic eruptions and earthquakes. Our next three stops are testament to that. 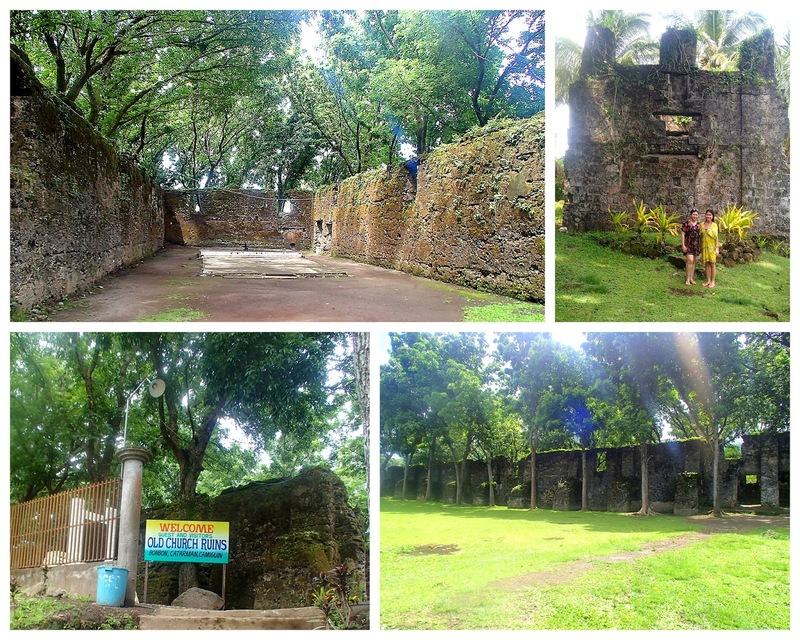 Our First Stop in Camiguin: The Old Church Ruins. In 1871, the eruption of the Mt. Vulcan took hundreds of lives of the people of Catarman (one of Camiguin's municipalities). It was said that the rich and privileged people in the town rushed to the church to seek refuge. Ironically, the church, despite its strong foundation was shaken to the core by the eruption, and wasn't able to protect the townspeople. The result? The town was destroyed, only leaving the old church, convent and bell tower at its wake. Second Stop: Underwater Cemetery. 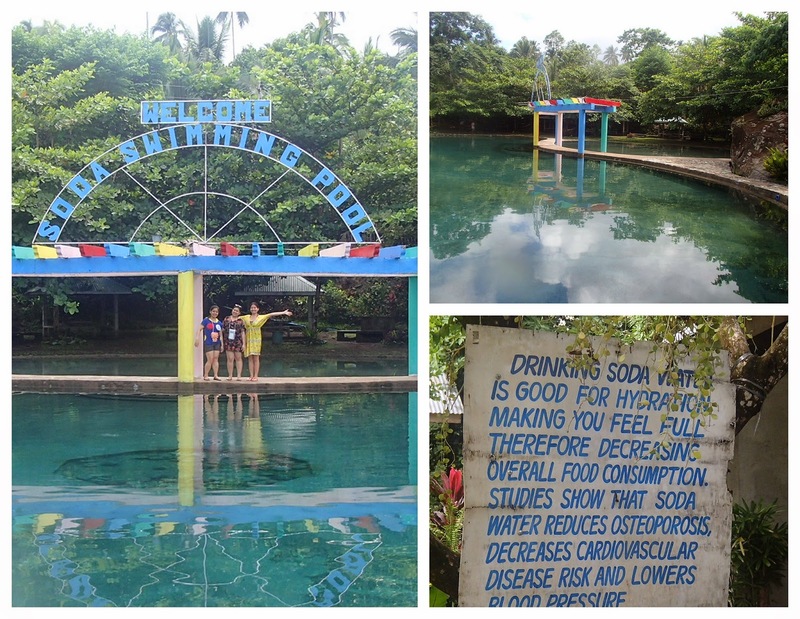 If UP has a sunken garden, Camiguin has an underwater cemetery! :)) Haha! Mai-connect lang! ;) The interesting about this cemetery is that you can opt to go snorkeling if you're that brave :) Although there's also a boat that you can rent if you want to get up close to the cemetery as possible.This cemetery was also because of the Mt. Vulcan which sunk the cemetery below sea level during its eruption period in 1871-1875. 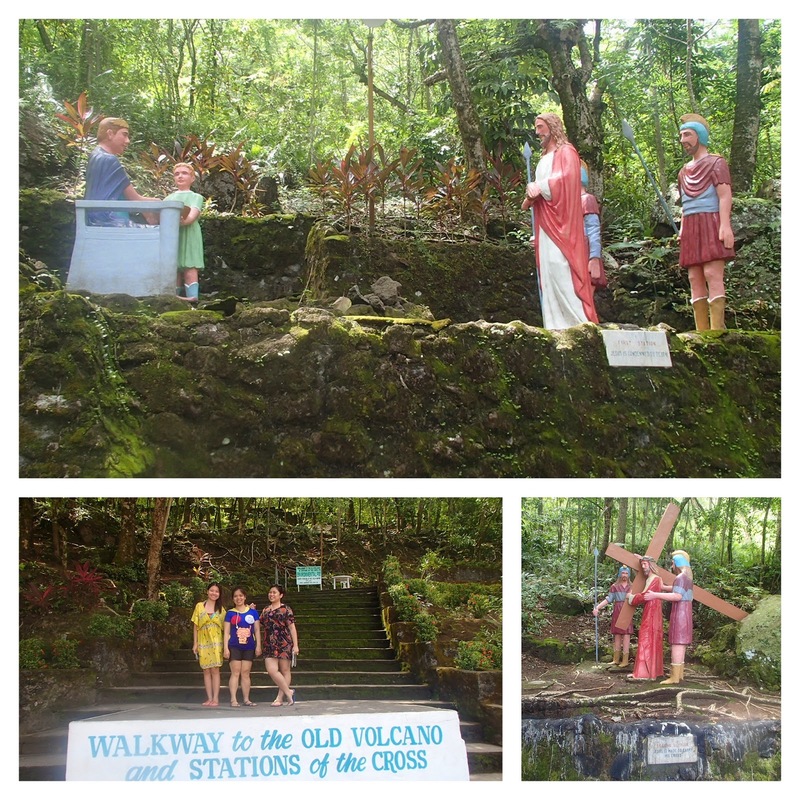 This third stop is more than just a walkway because it's a walkway leading up to 15 stations of the cross. 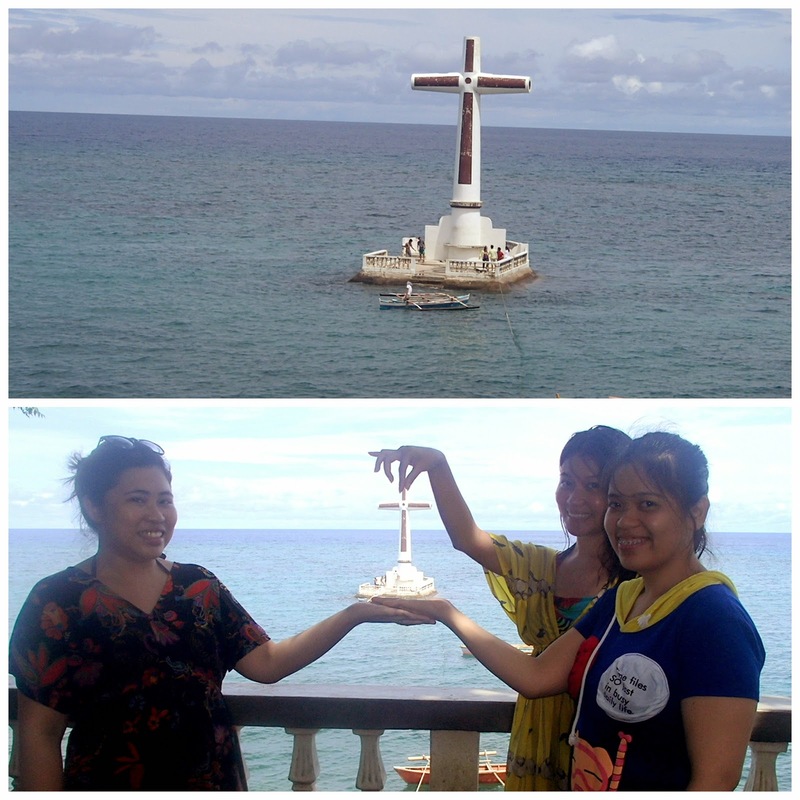 Camiguin has many churches so it's no wonder that many of the tourist spots they hold dear has religious inclinations. I actually wanted to see all stations but stopped at second. How pathetic, I know! Haha! It got a little eerie walking on my own. It was the only time I hoped there were more tourists at that time because it's a mountain so as you go further up, it gets quieter and quieter. I'm such a scaredy cat!! :( Anyway, the walkway prized itself to showing the tourists such a beautiful view when you reach the very top, making all the sweat worth it. So if you're young, it's highly recommended that you push yourself to the top! Go go go! Minutes later, a much happier surprise happened because minutes after we took a dip, the rainbow showed up right where the water of the falls drops (see bottom left photo!) it was something straight from a movie! It's been awhile since I last saw a rainbow! Thank you, Lord! That was the highlight of my day. Wheeee! After the pool, it was already raining pretty hard. So we decided to go straight to Ardent Hot Springs to keep our teeth from chattering from the cold. Temp of this hot spring is from 35 to 38 degree celsius. :) We stayed for hours at this natural wonder because the rain wouldn't let up. 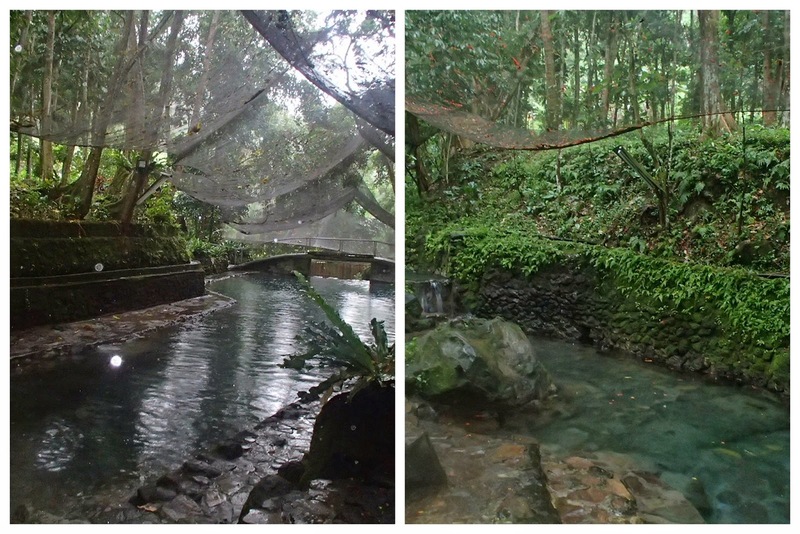 Although come to think of it, hot spring on a rainy day is the way to go, just imagine if we went here during summer? Lol! So not cool. 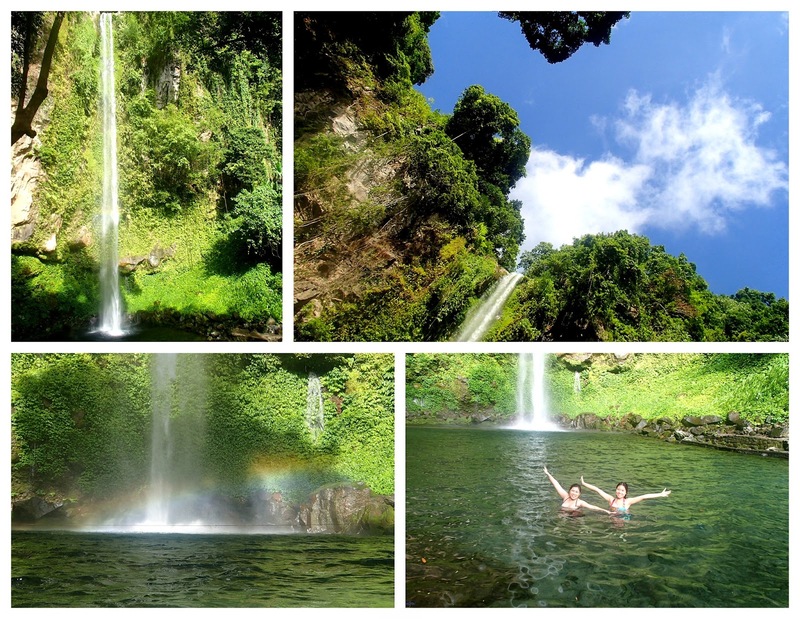 But wait... the beauty of Camiguin doesn't end there, more on Camiguin on the next post! :) Two lovely restaurants and an island sandbar await! !